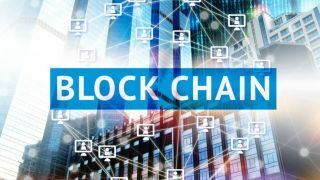 Accenture has recently announced a new tested and successful technology prototype that could connect two or more blockchains together. This new connection may empower them to solve a critical barrier to the technology going mainstream. Blockchain technology is normally thought of as a single entity (across a multitude of servers and users that makes it theoretically impenetrable) however none are universally recognized, which creates a chink in the proverbial tech armor. When blockchains attempt to interact across platforms they can be a lone wolf trying unsuccessfully to form a pack. Accenture's solution looks to bridge the coding-language gaps by synchronizing platforms such as Digital Asset, R3 Corda, Hyperledger Fabric and Quorum. By linking these platforms together they may be able to provide the multi-platform solution to the interoperability problem that blockchain has yet to conquer. Industry analysts have been debating the interoperability of platforms, slowing the mainstream progression of the technology. There’s also chat amongst industry professionals about selecting one blockchain ecosystem over another, which would result in winners and losers. This is a major concern of analysts, like those at Gartner, who expect that the more than 70 competing technologies would remain lone wolves on a varied competitive landscape (although focusing on a small pool of leaders).